All our invitations are supplied with blank envelopes. There is an option to upgrade them and have the flap printed with your return address. 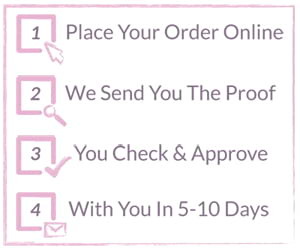 Enter your details below and preview your details then continue with the rest of your order.